Here are a few songs I wrote to call the elements. 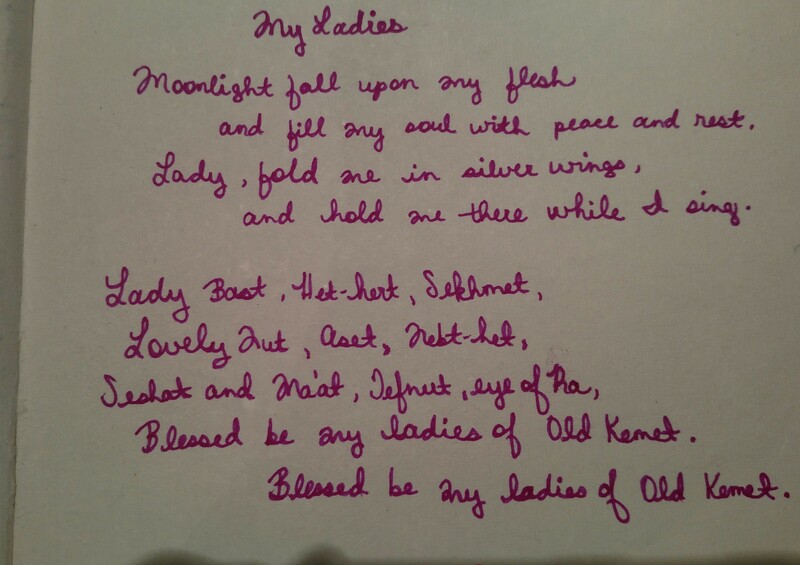 A song I wrote for drawing down the moon. The association of the moon with these ladies was not traditional in Egypt. They are, however, the eyes of Ra, and moonlight is but his light reflected. 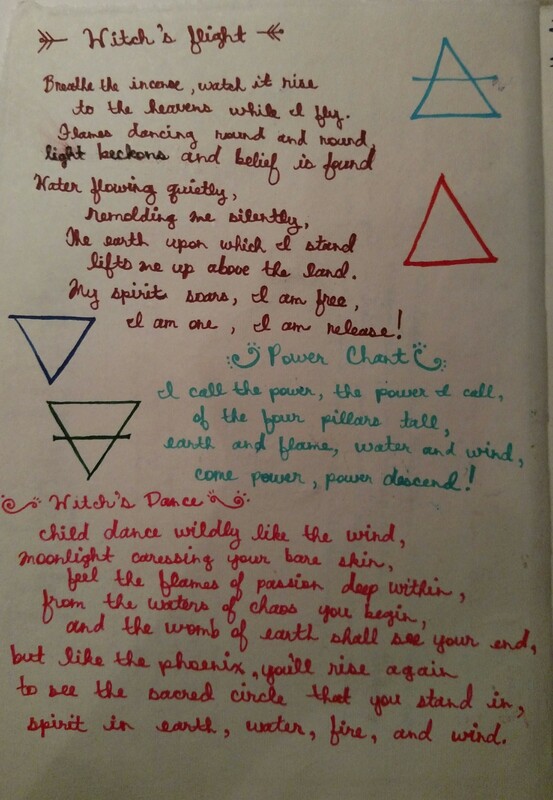 More of the old book pages added in with the new scribbles, scratches, and doodles. Finally becoming something I find both useful and inspiring. 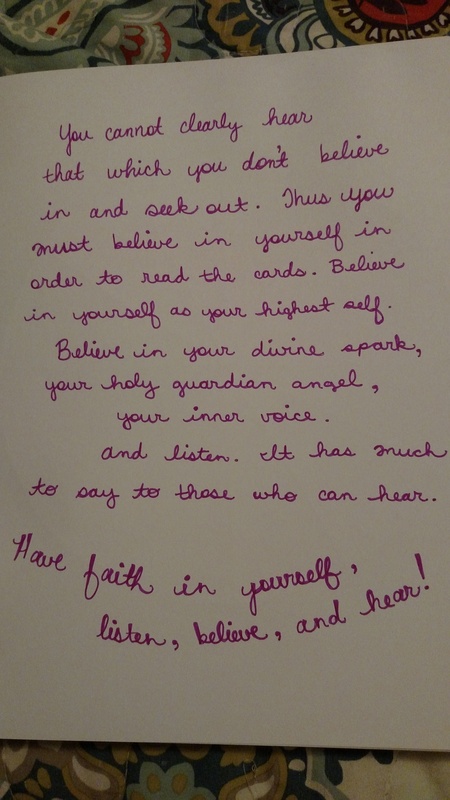 Taken from my old book – this I wish to keep, so into the new book they go. My current book I created to reflect the influence of the traditional training I’ve had the privilege of receiving these past two years. Some things I grew away from, many, in fact. That’s what time does. 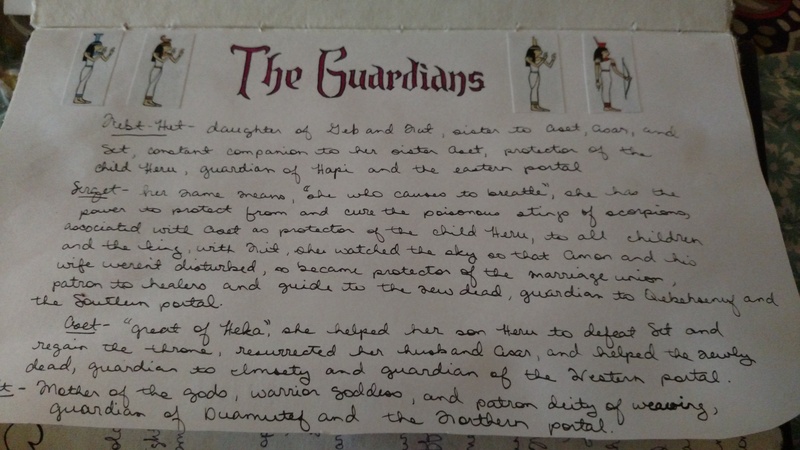 My coven’s quarter guardians differ from mine, and are oathbound, but my personal practice has become a wonderful amalgamation of things that makes my heart sing of truth. I got a lot done tonight. 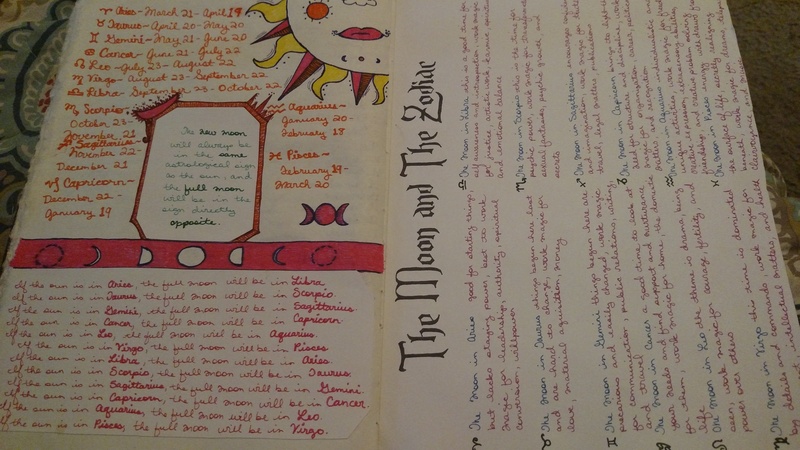 I wrote of Saturn in the 12 houses, her zodiac signs, angels, demons, and spirits, tarot cards, and geomantic figures. All the information I’ve received from my elders in the past few months and my own upg. I let Capricorn and Aquarius whisper in my ear, and thus my work was practical, yet flavored with flights of fancy. 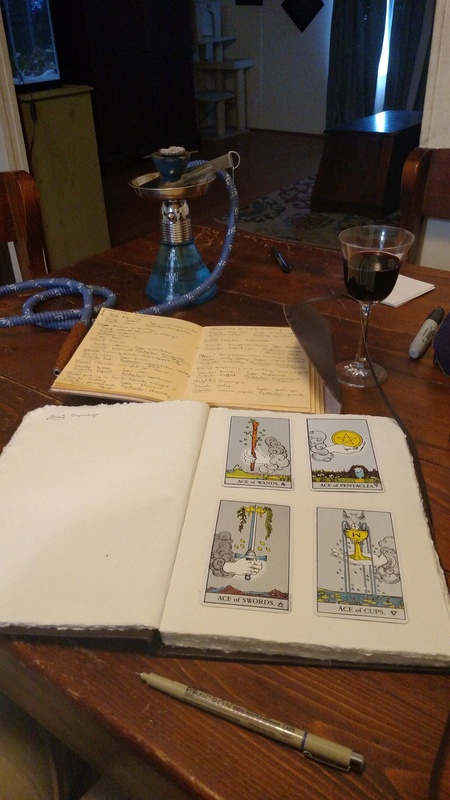 This is my divination book, which I titled this evening, The Fool’s Journey, below which I scrawled a plea to Elephant to guide me in wisdom and memory, strength and resilience, power and love. For the moment I feel I have a handle on things, and I’m ready to move on to our study of Jupiter. 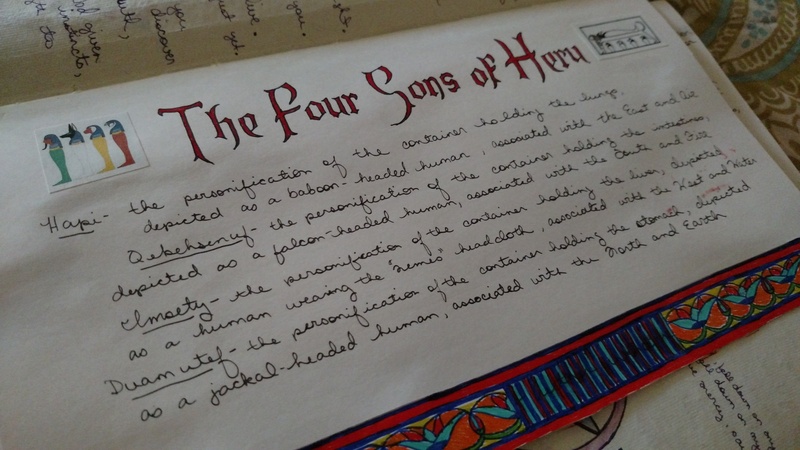 I also spent time with my book of shadows, adding notes on the cards and a page about the four sons of Heru, and the divine Ladies who keep the canopic jars and the directions. Though I cannot find a consensus as to the elements and directions these beings rule, and our geography differs greatly from where they originate, my intuition tells me they approve of our arrangement, so I am happy. Time to rustle up a bit of intuition, and a bit of creativity and inspiration. Time to work on the BOS. I feel the need to make a page for my tools next. The athame is air, to know. To know your path, to take it and form it. 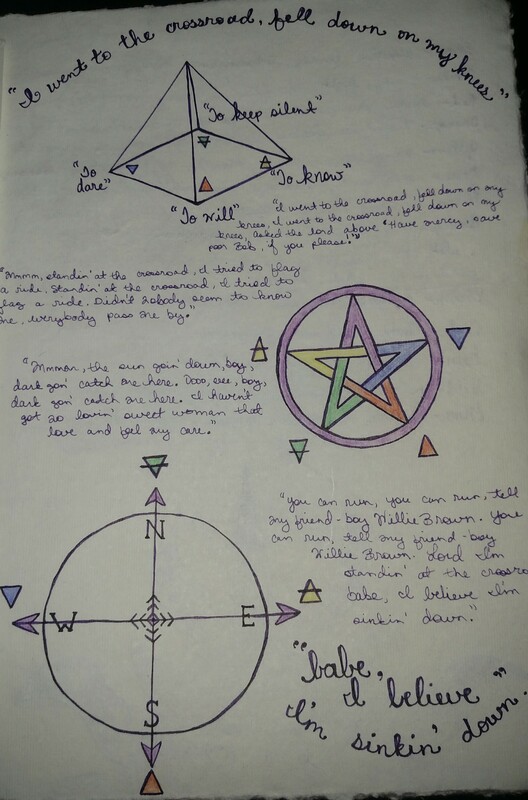 Thus it forms for you the circle, sigils, and other such thought forms. The wand is fire, to will. To know your true will is to know your desire. Thus the wand invokes what you desire, as it beckons the spirits and gods like a torch cutting through the darkness, warming and welcoming in its light. The cup is water, to dare. To take what you truly desire, to have that sort of love for yourself, is one of the main things I feel sets us apart. Witches don’t have room for original sin. We are fallen yes, and yet we are holy, beautiful, powerful, and loved. We are not God’s mistake. We brazenly drink it in, in wine, water, and potions. The paten is earth, to keep silent. To simply be. This is the place, the culmination of the others, where the magick is made. This is the place of manifestation, the place where we, as the divine beings we are, create. 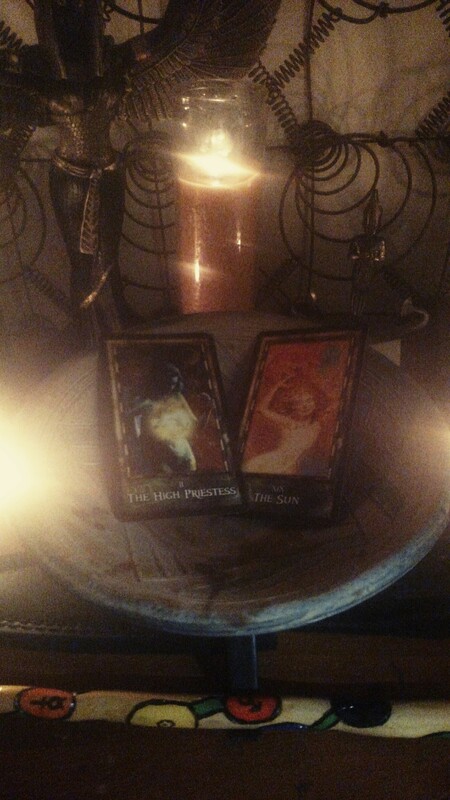 The center of power for the microcosm of our altars, awash in candlelight and ecstasy. 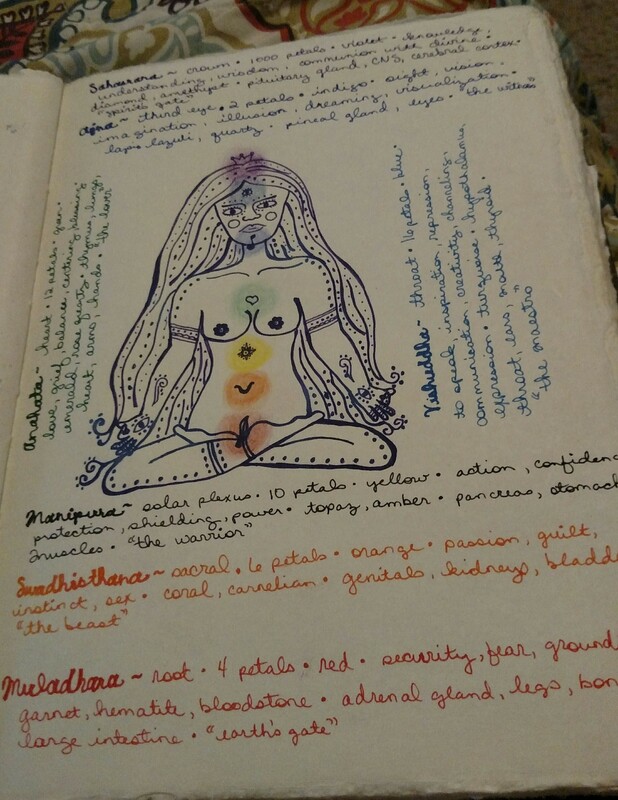 Musings of a witch on life, the universe and everything.